I've resolved to make this the year I truly get back to the garden. I used to be quite a gardener (my wild cottage garden circa, 1992, here). It's my favorite place to be and I feel most fulfilled when I am outside laboring and touching the earth. I am even armored with the most delightful garden journal, seen above, (a gift from my dear friend, Cori). First up on the agenda: Sweet peas. Sweet peas like cold weather and can tolerate light frost so now is the time to plant. I have mostly shade in my garden but there is a sunny patch where tomatoes have done well in the past, so I decided to plant some sweet peas there. Bing wanted to partner up for this post, so I used their search engine to brush up on my sweet pea planting skills. Before planting, you can either soak the seeds overnight which I've done before, or you can also make a small nick in the seed with a knife or nail clipper to expidite the germination process. My friend, Amber, came over and we dug up the soil and added some compost to it. Sweet peas like soil with good drainage because they need to be consistently moist but not soggy. Don't ever let sweet peas dry out! We planted the seeds 1 inch deep, 6 inches apart, in groups of three. Then, we covered it back up with soil and gave it a good water. This gorgeous garden book, Martha Stewart's Gardening, was gifted to me by my mom when I was around 12. I brought it out to brush up on sweet pea growing tips. Martha says she sows seeds on St. Patrick's Day through April 15th on The East Coast where winters are harsher than our mild Northwest temperatures here in Oregon. This allows her to have sweet peas throughout the early summer, before the heat wave hits! A fun thing: If you use the Bing search engine, you can sign up for Bing Rewards and earn points. Those points add up each time you use Bing, and then you receive gift cards to places like Amazon. Which is exactly what I am doing to stock up on new garden books! Have you planted your sweet peas yet? Happy Gardening! Oh and for more sweet pea growing tips, visit Floret Farm's blog! Photos: Chelsea Fuss. Wardrobe/Modeling: Amber Furqueron. Assitance: Erica Gomez. Sweet pea tips found via Bing on Renee's Garden Seeds and The Seattle Times. Sweater by Hetterson. Dress from Goodwill. Spring is really showing it's stuff here in Portland. This week I had daffodils and anemones around the house and the city is bursting with camellias and violets! Have a beautiful weekend! a frolic! travel guide: 15 favorites from buenos aires! frolic! + hetterson: sew foxes on a dress! 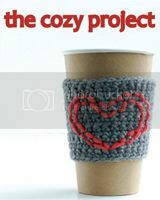 coming soon + happy friday! Soon, I'll be sharing this sweet photo series here on Frolic! The sun is shining today, I ran across a patch of violets this week, and noticed snowdrops in bloom. There's hope for spring! Hope you have a super lovely weekend! Photo: Lisa Warninger. Styling: Hetterson. Creative Direction: Chelsea Fuss. Model: Skye Velten. Hair and Makeup: The Ginger Suite. Assistants: Julia Langston and Kelly Searle. frolic! + hetterson: make a scalloped bag! Hey friends! I had a little radio silence this week for the first time this year but am thrilled to be back. This blog is my happy place. As a former flower shop owner, I am a big cheerleader for local florists and I love chatting and talking shop with them. 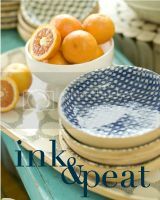 A string of errands last week led me to Megan's new shop in the SW Waterfront. SW Portland is experiencing a major boom right now and it's thrilling! The energy is refreshing and so is Megan's new branding and partnership with her friend, Annie. You might remember Megan from this post. Megan has been floral designing in Portland for 13 years. 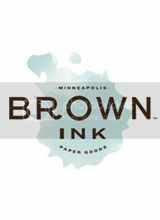 Her modern style is a breath of fresh air in a city filled with an abundance of reclaimed wood and dark, misty days. We are in agreement that floral designs, shouldn't look designed at all. Be thoughtful about color and texture and shape, but flowers are pretty as they are, so don't do much! 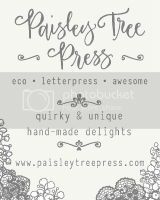 Megan's new branding, photography on her site, and floral designs are super reminicent of Jane Packer (RIP) in the 90's (one of my biggest inspirations) and my beloved Poppybox, where I got my start. If you favor clean lines, and breathing room, you'll love this store. Stay tuned to what these girls are up to. They are just setting up shop but so far, so awesome! Out front sits plastic (yes!) modern buckets with gobs of flowers in a few varieties arranged graphically. Inside, you'll find handmade ceramics, art and design books, and Carrera marble shelves filled with local collaborations from salt to canvas. Megan is inspired by her dad's gardening background and Annie is inspired by her years in the fashion industry, together, these two are a power couple! 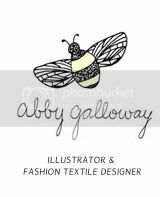 Please, check out their shop if you are in town, and visit their site for an abundance of inspiration. Their energy is contagious! Ah! Chrysanthemums never looked so good. I've always been one for itsy bitsy arrangements, but Megan does large-scale well! One major reason why I love what Megan is doing, aside from the spot on design element, is that the majority of her flowers are sourced locally from growers in the Portland area! I don't think most people are aware of the environmental impact of our floral industry. Everyday flowers are shipped all around the world, dipped in pesticides and packaged in plastic sleeve, after plastic sleeve! The food movement has had a revolution, it's time for the floral industry to have one too. See more at Fieldwork Flowers. All photos copyright Fieldwork Flowers. new: online flower arranging class! I had the loveliest weekend filled with creative friends! On Saturday morning, I hung out with photographer, Linnea Paulina and team, as well as our sweet friends, Penelope and Sabine. Polarn O. Pyret sent over some of their new Swedish-inspired prints and we spent a rainy Portland morning mixing and matching to our heart's content. Three tips we learned for mixing prints: 1. repeat colors 2. experiment with different scales. 3. add a solid color to give the eye a rest. You can enter to win this adorable heart strewn dress or another print by participating in the Name Our Prints contest over at Polarn O. Pyret. It's such a fun contest because kids are invited to submit their ideas too! We decided adding crazy, fun socks and tights is the perfect way to finish off an outfit! I hope you enjoy the photos we had so much fun creating! More love for Sweden right here. Penelope wears: Knee patch Tights + Pockets of Hearts Dress + You Name it Socks. Sabine wears: You Name it Dropped Waist Dress in Strawberry + Birch with Surprise Heart Tights and the Bold Stripe Bandana. Photography: Linnea Paulina. Creative Direction: Chelsea Fuss. Styling assistance and hand-painted backdrops by Erica Gomez. Wardrobe Styling: Chelsea Fuss + Kati Kim. Hair and Make-up: Madeline Roosevelt. Sabine's braids by Penelope. 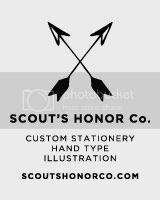 Ad design: Scout's Honor Co. Starring: Penelope, Sabine, and "Hortence the Swan".